We hope that you found the conference and the exhibition informative and worthwhile, created new contacts and enjoyed meeting up with friends and colleagues. A special “Thank You” to our sponsors and partners for the successful collaboration in 2017. Your support and participation is, as always, instrumental in ensuring the success of the event. 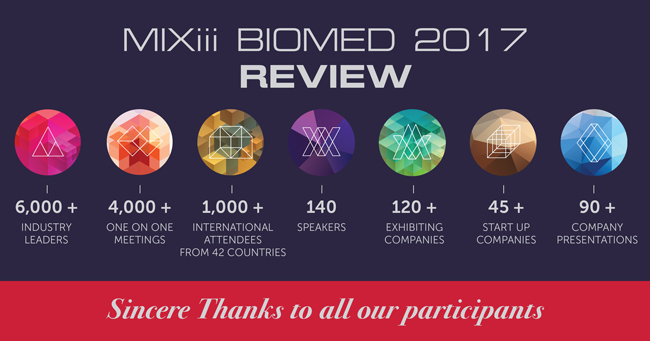 We look forward to working with you again and to welcoming you all to Biomed 2018.